Join Us for a FREE Tour of Our Facilities! What happens to your trash after you throw it away? Where does it go? How is it transformed into a resource? You can find out these answers and more by taking a FREE tour of LCSWMA facilities. 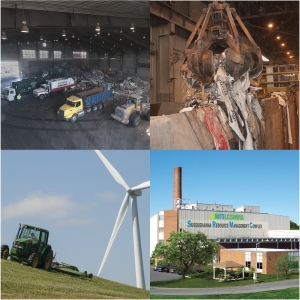 Go behind-the-scenes at the Transfer Station Complex, Lancaster Waste-to-Energy Facility, Frey Farm Landfill or Susquehanna Resource Management Complex to see how our sites operate. Learn about the “first stop” after your trash leaves the curb, and where you can safely dispose of household hazardous waste. Learn how we combust trash to make electricity that powers the equivalent of 30,000 area homes. Learn how we protect the environment with a state-of-the-art landfill. Plus, discover how the landfill site produces renewable energy and offers a habitat for wildlife. Learn how we combust trash to make electricity that powers PA State Capitol buildings. To sign up for a tour or learn more, visit our Tours Page.